Three of the speakers are coming from very far away! Chris now lives in Turkey, but was a practicing Landscape designer in England for years. He now conducts botanical studies and leads tours with his wife Basak, who is also a botanical artist as well as botanist and photographer herself. Chris will have a few copies of his book on the Silk Road Flora selling at the original price available at the Summit: this is currently being sold for ridiculous sums on Amazon. He and his wife Basak have traveled repeatedly across Eurasia from Istanbul to China researching and taking stunning images of flowers and landscapes. Click here for a Chris' compelling biographical information. This happens to be a picture I took over 30 years ago in an old garden: I'd be surprised if Chris didn't show this and other choice irises as part of his presentation on "Silk Road Flora" providing a back the scenes revisit of his monumental book. This will be the first occasion that Vojtech will have his fantastic new book on sale. 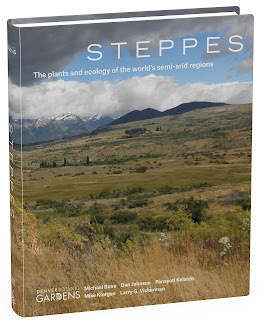 A book Lauch: the Tian Shan are one of the Earth's highest, longest and richest botanical treasure troves. Vojtech Holubec may be the most traveled plant explorer that I've ever known. Most years he collects seed from Europe across to China and much of the former Soviet Union. He has also collected in Patagonia and South America. He is Head of the Department at the Czech Republic Crop Research division, as well as director of the Seed Bank. He manages the Czech Republic's National Plant Genetic Resources. His fantastic garden has been featured on Prairie Break before. Vojtech's youthful face is deceptive: he is one of the originators of the famous Czech crevice garden technique and has been active for over half a century in the field. This happens to be a picture I took almost ten years ago in the Tian Shan of Paraquilegia microphylla--which there occurs in these nacreous colors. I featured Zdenek's spectacular private garden in a recent blog: there's much more to the man than that! Campanula choruhensis is just one of dozens of spectacular plants from Turkey and the Balkans introduced to general horticulture by Zdenek. In addition to yearly plant explorations across Europe and Turkey, Zdenek has traveled extensively in Western America and designed dozens of ambitious Crevice Gardens including the Mt. Goliath Alpine Garden at over 11,000' near Denver, the Montreal Botanical Gardens' enormous crevice garden and the crevice garden at the Royal Horticultural Society's garden at Wisley. He has designed dozens of private gardens across Canada, the USA, and much of Europe. 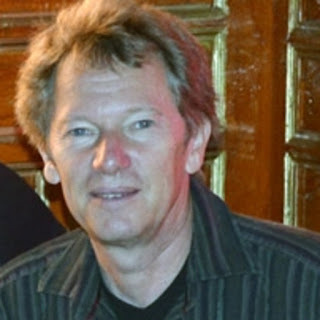 He edits the Prague Rock Garden Society's journal, Skalnicky as well as co-editing the International Rock Gardener--a treasure trove of horticultural excellence. 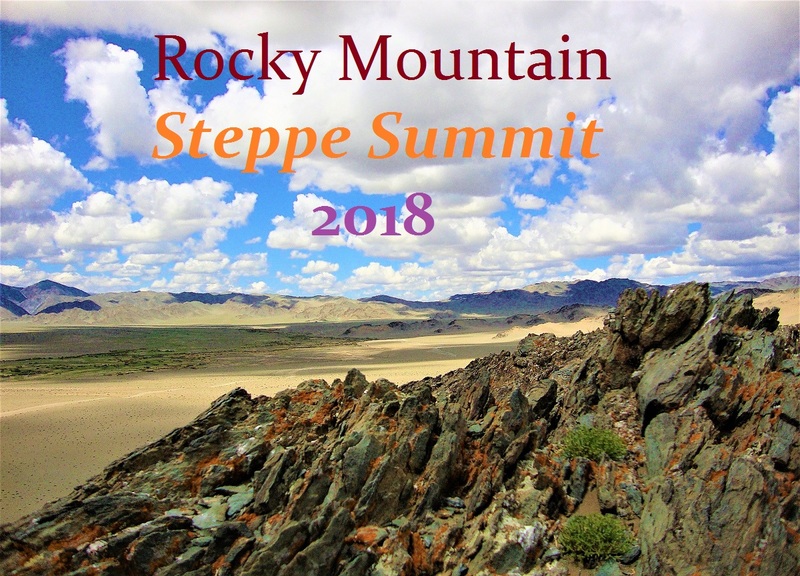 Taking us "In Steppe with Lesotho", Denver's own Mike Bone will wrap the program up with pictures from his two expeditions to the high mountain Kingdom where so many great Plant Select introductions originate. Mike last went there this past February to provide guidance for the Katse Botanical Garden there, as well as collect seed across the country with Munich Botanic Gardens. Mike was lucky to be taken to a little known, large population of Aloe polyphylla from a particularly high and cold region, which may provide hardier plants one day for testing at Denver Botanic Gardens of this most spectacular of aloes! Mike was the principal force and designer of the Steppe Garden, which lies at the very heart of DBG. This garden has enjoyed enormous popularity since its creation just two years ago! Which underscores how great a debt is owed to Steppe environments. So many of the most spectacular plants IN our gardens (and so many more waiting to join them) originate in this vast biome that has nurtured mankind since our beginnings, and which we have yet to fully comprehend. 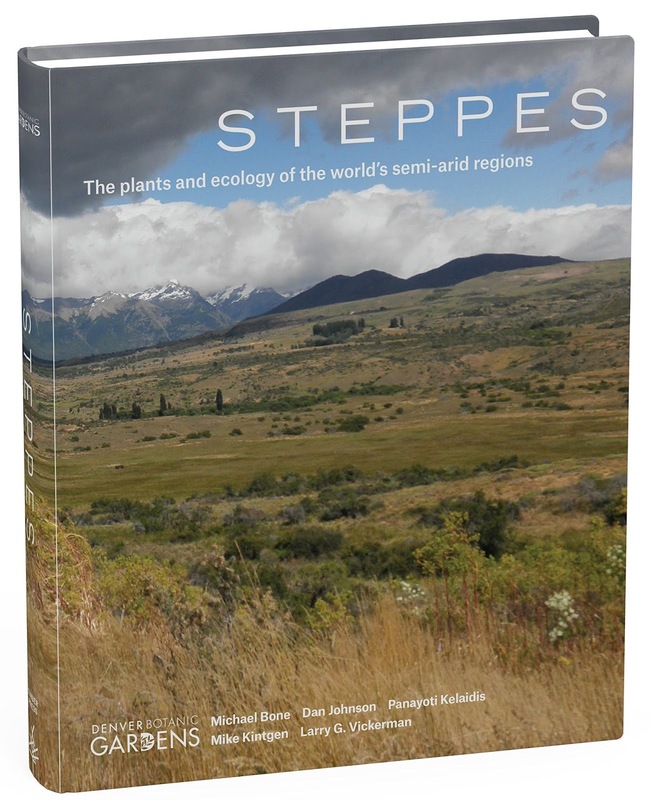 Mike was a principal author of the recently published book on the flora of the four major steppe regions. Just click on this link and you can guarantee a place at the Summit! It sounds like a lot of fun, wish it was not so far from me. Denver has three airline hubs: flights here are CHEAP! And Mid-September is heaven in the Garden and the Mountains!